Book collecting encompasses a variety of activities related to collecting books of particular interest including seeking, acquiring, organising, storing and caring for a book collection. Collectors of books are typically bibliophiles who don’t only love to read but also love to own books of interest. The most passionate book collectors are often prepared to pay large sums of money to acquire a particular book. Bibliophiles shouldn’t be confused with bookworms who love books for their content and love to read but don’t necessary have the need to accumulate books. Book collecting is above all about the pleasure and satisfaction that is experienced when owning particular books, similarly as passionate collectors of other items feel about their collections. 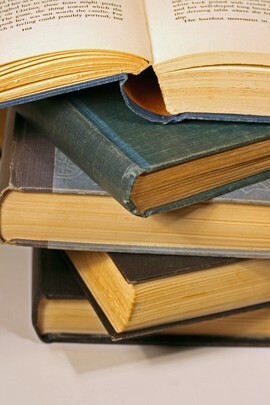 However, book collecting can also be an investment which is why it very important to understand the art of book collecting including how to identify first editions, determine the condition and other factors that influence a book’s value as well as to store the collection properly to retain the value. FFBooks.co.uk is here to help with advice and free resources to all the mentioned aspects of book collecting and make the search, acquisition and organisation of the most desirable books even more enjoyable. So feel free to visit and browse our website!